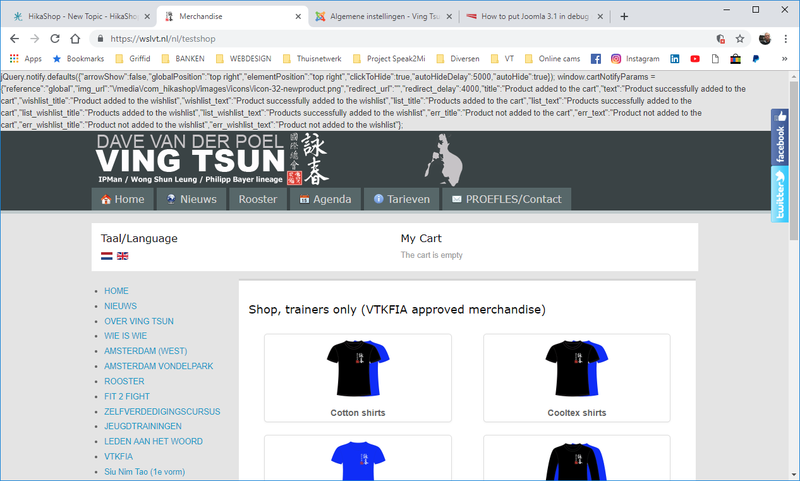 I have this strange message appearing on top of my website if I am in Hikashop part of my website. It always states the same message and I don't know how to solve it. But the shop seems to work fine. Below is the message, but you can also have a look yourself... wslvt.nl/nl/testshop . Can anyone please help me? Message was generated by the cart notification plugin. I turned it off, now the message is gone.